Update: In addition to the Zoom® and BriteSmile® whitening procedures, we now offer GLO™ Teeth Whitening. GLO uses a patented technology that combines optimal heat and light in a closed system mouthpiece to activate and accelerate the whitening gel formulation for safe, superior results with little to no sensitivity. Learn more about GLO teeth whitening. When it comes to quick and effective ways to improve your appearance, teeth whitening is one of the best ways to turn your smile from ho-hum to dazzling. 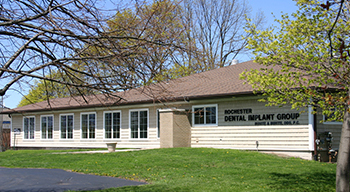 The skilled dentists at Buhite & Buhite, DDS in Rochester have been providing Western New York with the best in cosmetic dentistry for more than 40 years. 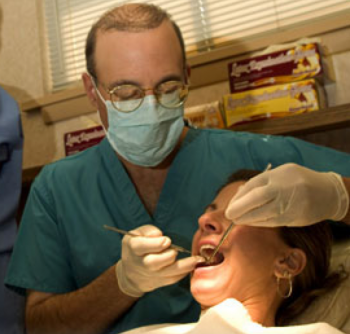 The four dentists pride themselves on their relaxed, friendly approach to dental procedures. Whether they are coming in for teeth bleaching or a root canal, each patient feels at ease in the dental chair. Bleaching your teeth is a cost-effective treatment that can rejuvenate your smile and help improve your confidence in as little as one treatment. Professional whitening is much stronger than over-the-counter whitening products; this is why patients can achieve noticeable results so quickly. Buhite & Buhite offers two teeth whitening procedures, Zoom® and BriteSmile®. Both techniques can significantly whiten teeth in an hour while you wait. Professional whitening is painless and non-invasive. Your gums are first protected with a gel or rubber shield before the dentist applies the bleaching agent to your teeth. Depending on the type of treatment you select or the severity of your stains, the dentist may use special lights or lasers to further enhance whitening. By the end of the treatment, your teeth should look several shades brighter. If your smile still needs additional enhancements, Buhite & Buhite also offers bonding, which involves placing tooth-colored resin on the surface of the tooth for repair, support, and protection, as well as porcelain or resin veneers. For the best in cosmetic dentistry, or to inquire about additional restorative or surgical dental procedures, call Buhite & Buhite, DDS at (585) 342-1323.